When we (Service)overhaul a watch it’s completely taken apart then ultrasonically cleaned and re-oiled. We also time the movement and ultrasonically clean and polish the casing and bands. Lastly, the watch is reassembled and re-timed. Most watch brands suggest you service your mechanical watch every 4-5 years. Every time we (service) overhaul a watch, you can rest assured that it’s totally taken apart, ultrasonically cleaned and re-oiled. We are able to time the movement and carefully clean and polish the bands and casing. Ultimately, the timepiece is reassembled and re-timed. The majority of watch brands recommend you service your mechanical timepiece every 4 to 5 years. 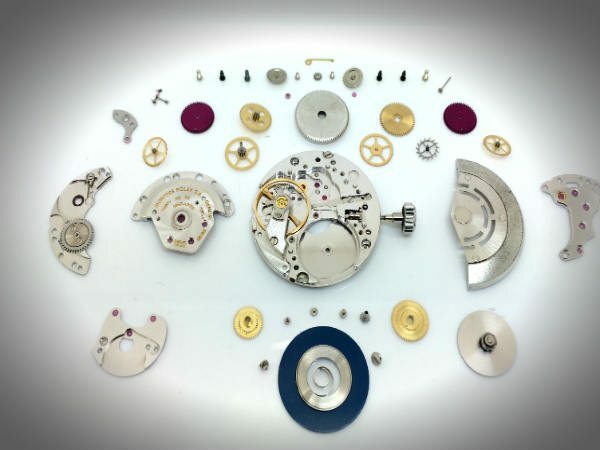 As with any sort of mechanism of precision, a complete overhaul is crucial to your precious watch to keep its value as a timekeeper or investment. Mechanical watches (whether manually wound or self-winding) should have this complete overhaul every three to five years. In strict adherence to the guidelines of the watch manufacturer and utilizing only original parts, all work is conducted in our innovative workshop followed by a severe series of quality controlled tests, at the same time geared by a 1-year guarantee. The efficient and rigid inspections performed by our certified quality control experts (ETA qualified & certified watchmakers) follow the high standards we place on every work undertaken at our facilities. Further, every watch and mechanism, without exception, are subject to a collection of rigorous visual inspections and technical tests to confirm their accuracy, water resistance, winding power and overall performance.